Canadian manufacturers and wholesalers recorded sharply lower sales in November, adding to evidence the nation's economy entered a soft patch at the end of last year. Wholesale sales dropped 1 per cent in November, the biggest one month decline for the sector since March 2016, Statistics Canada reported in Ottawa on Tuesday. Factory sales were down 1.4 per cent, the largest drop since January. Both sectors also recorded declines in volumes. The data confirm Canada's expansion has likely entered what economists believe is a temporary slowdown that is expected to last through the first few months of this year, amid a slump in the country's oil sector and overall weakening in global economic sentiment. The Bank of Canada estimates quarterly growth probably slowed to an annualized pace of 1.3 per cent in the fourth quarter of 2018 and will drop even further in the first three months in 2019 to below 1 per cent. The slowdown prompted central bank policy makers at their last rate decision earlier this month to indicate less urgency for further interest rate increases. The weakness in wholesale was broad-based, and larger than what economists had been anticipating. Five of seven wholesale subsectors recorded declines in November. Economists had been anticipating a 0.3 percent drop for the month. The manufacturing picture was more mixed, with 13 of 21 industries recorded declines. Refinery sales led declines, with a 14 percent drop on the back of lower prices and due to lower production resulting from maintenance work. The monthly drop in refinery sales was the largest since January 2015. 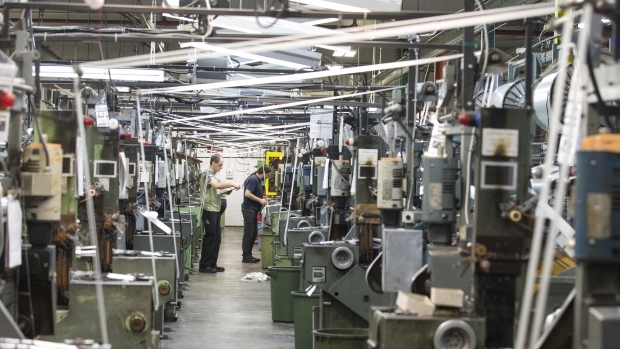 Economists had forecast factory sales would drop 1 per cent.